(FNAA); a French national motorists' association. Following the results of a study recently carried out by survey company Datar, they say that already 300,000 people in one of Europe’s largest economies don’t have a filling station within a ten-minute drive of their home, and a further 3.6 million people will be similarly affected if their nearest fuel station closes. As things stand, a quarter of the French population is obliged to travel more than 5km on average in order to get to their nearest petrol station. In 38 French departments (there 96 altogether), motorists have to drive “between 15 and 38 minutes” in order to find a second one, according to FNAA. But the “risk of desertification is not limited to the rural zones,” warns the FNAA. France’s largest motorists’ lobby group warns that “if nothing is done,” Paris and its first outlying zone will not have any more than 39 filling stations in 2020, as against 122 today and 137 as recently as 2010. Increasing regulations are stifling the petrol and diesel retail trade, according to FNAA and the the obligation for stations to submit to environmental norms before the 31st of December this year could precipitate the closure of 1,600 retail outlets unless they can find the money to carry out the necessary compliance works. In 2012, there were only 12.300 filling stations left in France. In 1975, there were 47,500. The rate of closures, which has mostly affected rural and outlying areas, has slowed in recent years but service stations across the country are still disappearing at a rate of 250 annually. 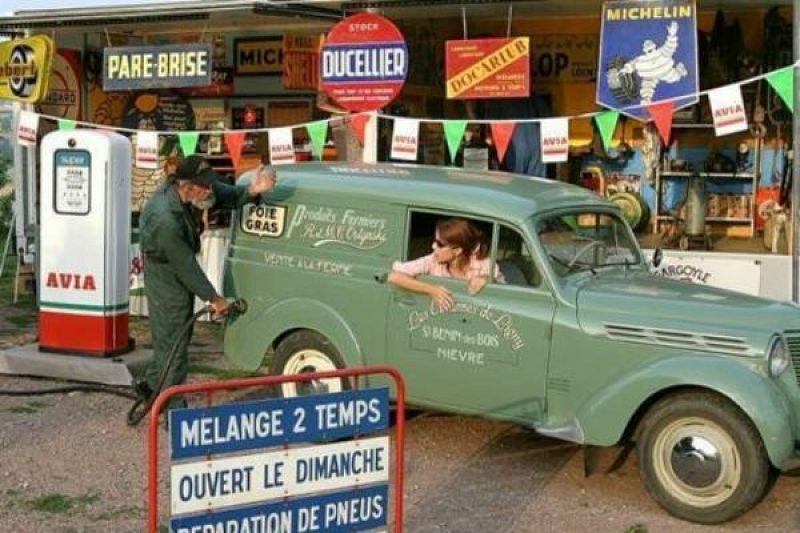 Apart from the rural exodus and small decline in recent years in the rate of fuel consumption, this drastic restructuring is largely the result of heightening competition between supermarket and hypermarket fuel stations, where fuel is considerably cheaper in often unmanned outlets and where 60% of fuel is sold in France.